Central Delaware. Located in west central New Jersey, primarily within parts of Hunterdon, Mercer, and Monmouth counties. 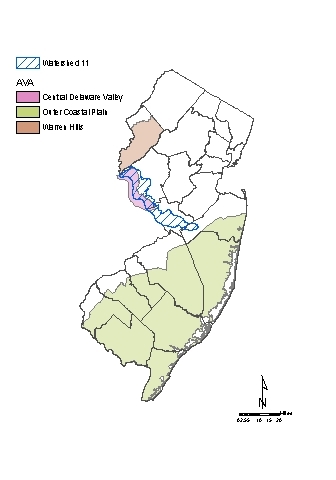 A portion of the WMA falls within the Central Delaware Valley AVA.